The very existence of great art -- that it can be created by humanity -- is if not "proof" then certainly convincing evidence of the presence of power greater than our own. There is much to be said for accepting on faith. Through the true creative artist, we can sense a nearly divine quality and value. "All astronomers are amateurs. When it comes to the heavens, there's only one professional." -- Actor Claude Rains as Sir John Talbot in the 1941 film, "The Wolf Man". An artist's message, like God's presence, can be difficult to describe or explain and impossible to define. It can also be very easy to recognize and exhilarating to sense and feel. We cannot experience the agonies and ecstasies Michelangelo underwent in executing the Sistine Chapel frescoes, yet the results are evident. Great painting or sculpture allows us to see a beauty words can't express. Great music allows us to hear it. Art appeals directly to the emotions, while literature can appeal to our emotions only through the intellect. It also takes great intellect to create music that still lives, through its performance -- in many cases centuries after the notes first saw the light of day. Generally, great art -- and specifically great music -- can express what words can't. Freud's disciple Theodor Reik was directly on target when he said that language is at its poorest when it wishes to grasp and communicate human nuances and shades of feeling -- that very area in which music is most efficient and expressive. Music is a language of human emotion, the expression of the inexpressible. Its vocabulary is an esperanto of emotions rather than of ideas, and can therefore express what people feel much more than what they think. This is why we have music in films (and film is an art, though a collaborative one): the film's score supports and intensifies the action on the screen, and can increase our enjoyment of the film and make its effect that much more penetrating. The occasions on which an otherwise ordinary film was strengthened by its musical score are too numerous to mention. Though he never composed a requiem per se, the entire musical corpus of Gustav Mahler is a kind of secular litany on human existence. 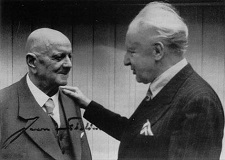 "A symphony is like the world -- it must embrace everything," he told Finland's greatest composer, Jean Sibelius. Mahler's remark encapsulated his view of how he himself saw life. A man of paradoxes, contradictions, complexities, and genius, his wife Alma was dumbfounded during a debate with him: he was a convert to Christianity, a man born a Jew, here defending Christ against a Christian. 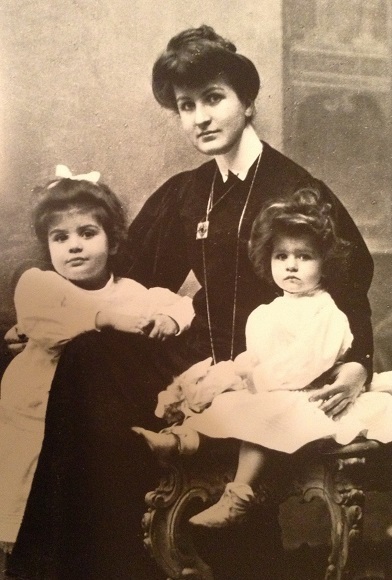 The death of Mahler's young daughter, Maria, from scarlet fever intensified his preoccupation with mortality. 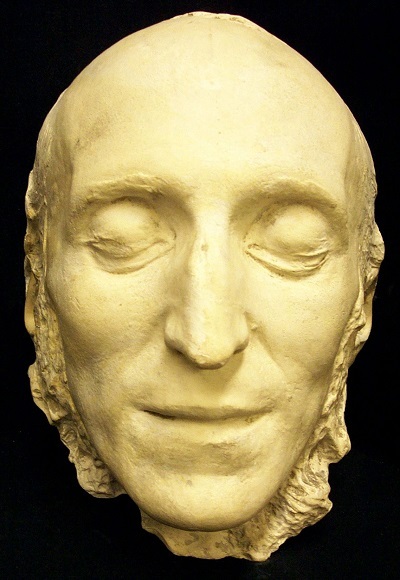 Though fully aware that he was not responsible for it, he felt that he had somehow unknowingly anticipated her end -- or that he had perhaps tempted Providence altogether -- by having composed a work he had called Kindertotenlieder (Songs for Departed Children). That Mahler felt as he did is entirely understandable. A further and more tangible musical manifestation of his virtually lifelong preoccupation with death is that every one of his nine completed symphonies contains, in one form or another, a funeral march. 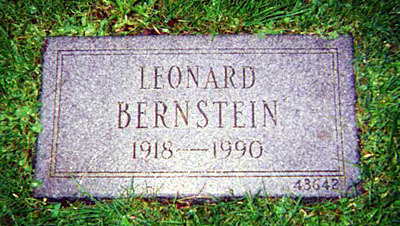 This seems to have escaped the attention of many until it was pointed out by Leonard Bernstein. Indeed, Mahler's own subtitle for his Second Symphony is "Resurrection," a mammoth work in which the chorus intones the words, "I shall die to live". The Austrian composer Anton Bruckner was so devout that even the manuscripts of his symphonies -- orchestral and clearly secular works -- were inscribed by him, "An meinen lieben Gott" (To my beloved God). One of Bruckner's disciples was Mahler himself. 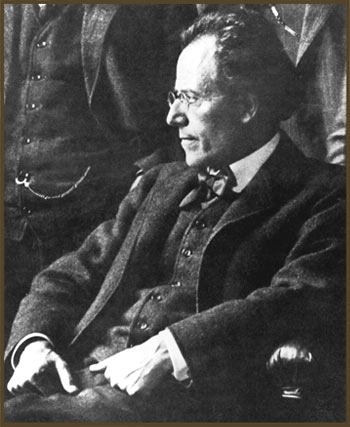 "Mahler throughout his whole life was seeking God. Bruckner had found God." 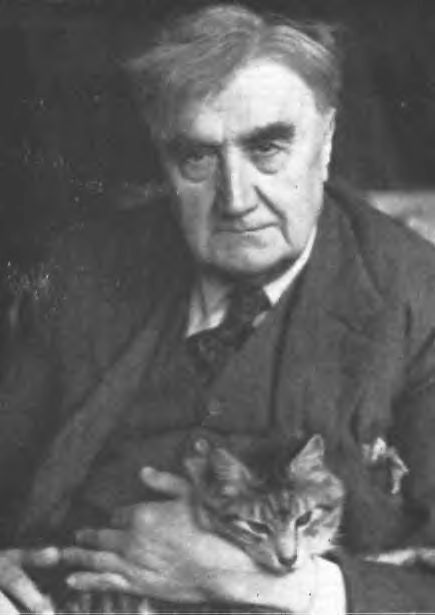 Thus spoke Mahler's own disciple, the great conductor Bruno Walter. Franz Liszt, too, was a man of contradictions in practically every direction. He never married, yet he had numerous liaisons and sired three children. One of them, Cosima, lived a longish life: she became the wife of Richard Wagner and died in 1930, outliving her husband by 47 years. Liszt's sophistication, sociability, and appreciation of The Good Life at times seemed at odds with his surprising but deep religious convictions, which were in fact sincere. 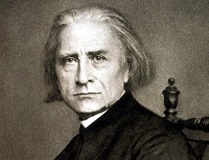 The contradictions in Liszt the man become striking when we consider that he took minor orders later in life (Abbé in 1865, Canon of Albano in 1879), and for a time even had rooms in the Vatican. Though as a secular clergyman he could not officiate at a Mass or hear Confessions, he was permitted to wear clerical garb. Photos of the period show that he did so often, and found a genuine fulfillment in going about in his soutane and being addressed as Abbé Liszt. The counterbalance between the angel and the devil in Franz Liszt can be illustrated by the nature of some of his output. Though today sometimes under-rated, he was a very important composer, and the lasting significance of his finest music appears to redeem the numerous potboiler piano pieces he wrote and played for virtuosic display. 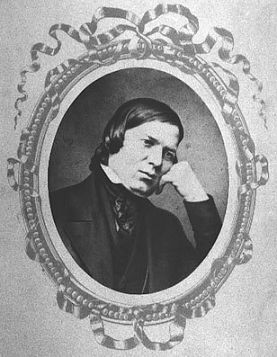 Even the very titles of some of his works indicate the dichotomy: designations like the Faust Symphony, the Dante Symphony, and the Mephisto waltzes seem offset by pieces like the Grán Festival Mass, the Missa Choralis, and the oratorios Christus, and The Legend of St. Elizabeth (the Hungarian matron saint of music). Both oratorios were written during Liszt's residence at the Vatican. Twice in the first movement of his "Faust" Symphony, we hear some of the finest examples of canonic writing in the entire musical literature, with trombones and trumpets engaged in short but brilliant imitative dialogs. 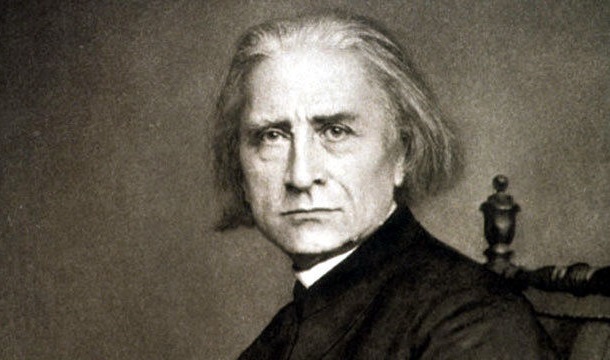 In several respects Liszt was the 19th-century counterpart of Leonard Bernstein, in that they share numerous professional traits -- as pianist, composer, conductor, and educator -- and each had a personal but deep spiritual commitment. 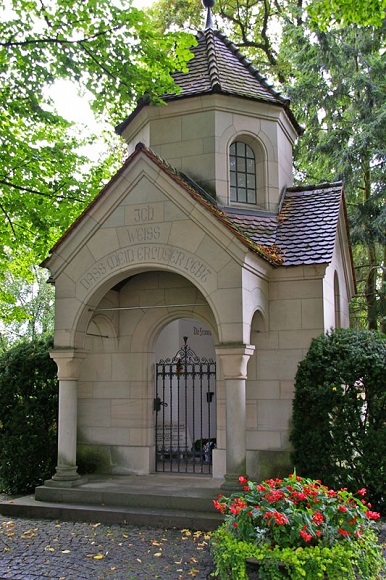 It seems fitting that Liszt is buried at Bayreuth, site of the Wagner Festivals, and that Bernstein's final resting place in Green Wood Cemetery is situated on the highest natural point above sea level in Brooklyn, NY. The differences between Liszt and Johannes Brahms were not only vast but almost diametric. Liszt was obvious, Brahms was subtle. Liszt was the extrovert, Brahms the introvert. Where Liszt was explanatory, Brahms tended to be cryptic, as though he were trying to conceal his meaning rather than clarify it. Liszt was formal and almost ostentatious, Brahms was more restrained and casual. Liszt was the Romantic, Brahms the Classicist. Liszt broke new ground, Brahms cultivated an existing musical garden. Liszt was Mephistophelian, Brahms in his music could be almost angelic. Like his personal nature, Brahms' religious view was unconventional and idiosyncratic. His attitude challenged dogma and therefore threatened the comfort and even the security of the dogmatists. It was essentially a reflection of his love of life rather than a conventional religious fear of death and redemption through suffering. He celebrated this in his German Requiem (so titled because the text is sung in German rather than Latin) by omitting the traditional Dies Irae section, which Brahms felt would be out of keeping with his concept. The Requiems of Brahms and Giuseppi Verdi, however, are, like their personalities and characters, so dissimilar that the only things they have in common are musical form and their religious subject matter. Verdi's work, operatic in the extreme, is marked by theatrical drama, while Brahms' piece, like Gabriel Fauré's Requiem later on, is far more introspective and tender. All three of these Requiems by Brahms, Verdi and Fauré are among the greatest works of their kind, notwithstanding the marked differences between these men in religious outlook and musical approach. Antonin Dvořák, a simple, pious being whose Stabat Mater was inspired by the death of his daughter, once said of Brahms, "Such a great soul, yet he believes in nothing." It prompts one to ask: Can there be artistic creation without conviction? "There are many paths to God, my son. I hope yours will not be too difficult." ( -- Balthazar the Egyptian, played by Finlay Currie, to Charlton Heston in the film, "Ben-Hur"). Like many of us, Brahms had to find his own way. He was not a religious man in the strict sense of that term, but he retained the Christian ethic and its dictates specifically in the conduct of his life. As a man he seems to have compensated his outward lack of piety with an innate goodness behind the sometimes gruff (but protective) exterior, a deep-rooted generosity, and a genuine modesty. He put pressure on his own publisher, Simrock of Berlin, to bring out Dvořák's music when the Czech composer was still struggling, and often implored the younger man to consider the substantial Brahmsian assets his own. In keeping with protocol, when visiting a Catholic church Brahms would pretend, with his Protestant hand, to take holy water. The following incidents exemplify the man's magnanimity. He once wrote to his father (who was also a musician): "If ever things go badly for you, read assiduously in my old copy of Handel's oratorio Saul, and there, I assure you, you shall find some comfort." Following his son's advice not long afterward, the old man was elated to find the pages of the score liberally interleaved with banknotes. During Brahms' stay in Mürzzuschlag, Austria, in 1885, where he composed his Fourth Symphony, a fire broke out in a carpenter's shop near the composer's dwelling. While everyone has an ego, it's the creative artist who acknowledges it more readily than do others, but Brahms' selfless conduct on this occasion is not the mark of The Egotist. The 52-year-old composer immediately fled from his quarters in his shirtsleeves to join the bucket brigade, where he impelled the stylish onlookers to lend a hand. When told that the fire's direction was threatening his rooms -- and the irreplaceable manuscript of his nearly completed Fourth Symphony -- it gave him a moment's pause, and he simply continued with his fire-fighting. Ultimately, the ruined carpenter actually benefited from the fire, thanks to Brahms' munificence (which was both practical and anonymous, in keeping with his usual practice in matters of personal generosity with those he didn't know). Brahms may have been guilty of an occasional transgression but the same can be said of all of us. The compensation he offered Posterity may not have been symmetrical, but there can be balance without symmetry, just as it is possible to serve and worship one's God faithfully without losing one's human perspective. "He is so masterly that it seems God sent him into the world complete," wrote the mature Clara Schumann of Brahms. It is significant that he was still in his early twenties when she made this observation. Parenthetically, though Brahms and Clara Schumann graced posterity with their individual contributions, they also robbed it by leaving no photographs of the two of them together. "I can't believe that he actually composed such music." -- Violinist Nadia Salerno-Sonnenberg, about Brahms' Violin Concerto. This begs the question: From whence did Brahms' awesome creative powers come? While the question is rhetorical, the answer is obvious. It seems more than coincidental that the last composition Brahms wrote before his death on April 3, 1897 was a series of pieces for organ, the last of which he titled, O Welt, Ich Muss Dich Lassen (O World, I Must Depart From Thee). It's Brahms' title but God's work. 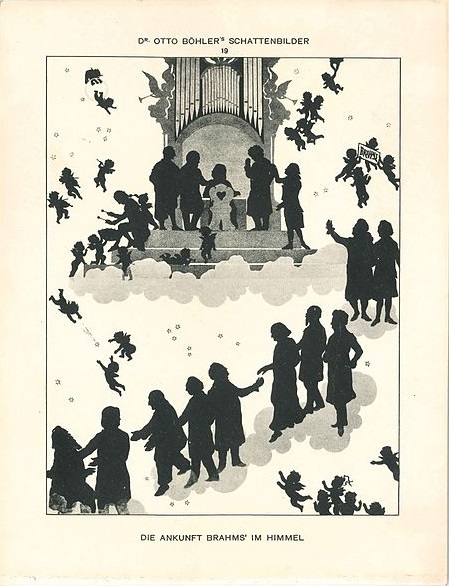 A famous silhouette by the artist Dr. Otto Böhler (1847-1911) literally illustrates his conception of Brahms' arrival in Heaven, being welcomed by Schumann and the others who went before him. To presume that a lack of strict and constant piety would bar one's admission to Heaven would not be consistent with the concept of a loving, understanding, forgiving and merciful God. Brahms graced not only people with his presence but also the entire world with his work and musical miracles. We may have every confidence that his conduct of life earned him his place in Heaven. It would be difficult to envision him elsewhere. Johann Sebastian Bach was born the same year as George Frederick Handel and Domenico Scarlatti (1685). Bach, who fathered about twenty children (many of whom died in infancy), was a devout Lutheran -- so devout a man, in fact, that on the manuscripts of his sacred music can be seen in his own ornate Baroque letterhand the inscription (in Latin), To the Greater Glory of God. Latin was one of the subjects he taught as Cantor of the Church of St.Thomas, in Leipzig, Germany, where his remains rest today. It is no accident when Bach's music is described as "heavenly". A performance given in the St.Thomas church, where Bach spent the last 27 years of his life as organist, remains one of the most moving spiritual and musical experiences of this author's life. When he died in 1750, and regardless of his enormous musical output, Bach was mourned throughout Europe not as a composer but as an organist. (Leopold Stokowski, "The Merlin of orchestral wizardry," began his own career as an organist rather than as a conductor; he spent several years, ca. 1905, in the organ loft as music director at St.Bartholomew's Church in New York, when it was still situated on Fifth Avenue above 42nd Street). Except to a few musical connoisseurs (the young Beethoven had studied his music), Bach's work lay largely unknown and unperformed for nearly 80 years -- until a 20-year-old musician named Felix Mendelssohn resurrected Bach's music by conducting the St. Matthew Passion in Leipzig in 1829, giving impetus to the momentum of a Bach revival, and to the popularity of his music that has never slackened. "I must live amid almost continual vexation, envy and persecution." Thus wrote Bach in a letter of 1730. We don't remember the petty who gave him a hard time during his life. We remember Bach. 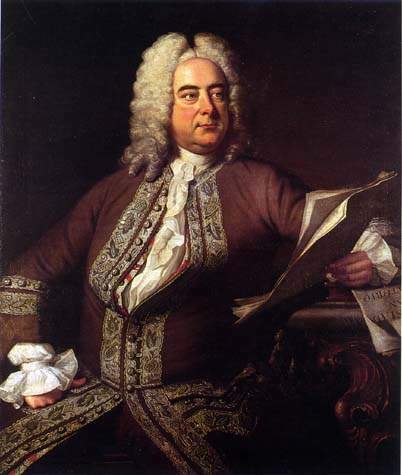 Handel, ever the cosmopolitan and affluent man of the world, is not known for being an overly devout man, notwithstanding the many works he composed based on religious themes and texts. That they were lucrative likely played a part. It seems almost paradoxical that it was he who penned an oratorio (which he composed in three weeks), destined to become one of the world's most famous religious works, The Messiah. The house in which Handel lived from 1723 until his death in April, 1759 still exists, at 25 Brook Street in London, and was the first composer museum in the city. Though some of the composers, including the greatest ones, may not have appeared particularly pious in their day-to-day lives, by and large their music bespeaks a degree of reverence that is not always evident at first, but which is nonetheless unmistakable. We must recognize that simply because great artists are so far above us in their art does not mean that they are -- or even must be -- so far above us in general daily virtue. 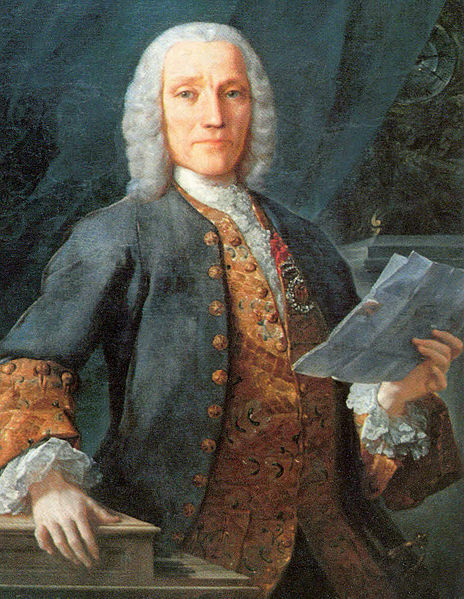 Domenico Scarlatti has been called "the father of modern keyboard playing". Cardinal Pietro Ottoboni of Italy arranged a "contest" between Scarlatti and Handel, at which each musician played the organ and the harpsichord. It was generally conceded that while Handel was the finer organist, Scarlatti was far and away the finer harpsichordist. Scarlatti, awed by Handel's skills, would forever afterward make the sign of the cross in reverence when mentioning Handel. Beethoven's personal conduct could at times be very embarrassing. He was once seen returning to a ballroom still buttoning up his trousers after a lavatory visit. Stories about his temper are now legion. He once picked up a chair and threw it at a nobleman -- very determined behavior, considering the man was one of his own patrons and was helping to support the composer financially. Yet, few composers felt God's presence as deeply as Beethoven. We find proof of his piety in some of his letters and journal entries, and certainly in his music. His deafness once prompted him to contemplate suicide, but he was dissuaded -- not by others, but by his own beliefs and ultimate faith. To say that a massive, epic work like the Missa Solemnis could come from the heart and mind of a man who had little or no belief in God would be, in a word, ludicrous. Indeed, in the last movement of his Ninth Symphony, Beethoven has the chorus sing the praises of the concept, Alle Menschen werden Brüder (All men will be brothers), the text based on Friedrich Schiller's Ode to Joy. The chorus' final proclamation of the words Vor Gott (before God) brings us not only into another key but also into another realm. It may not be a coincidence that the new chord is three tones away from the earlier one, and is based on a triad, a basic chord composed of three notes, and which is one of the foundations of musical harmony in western culture. With just a little imagination, it is not difficult to see a parallel, even if only a peripheral one, between that crucially placed triad and the Holy Trinity. As we have Beethoven to thank for his music, we have God to thank for Beethoven. 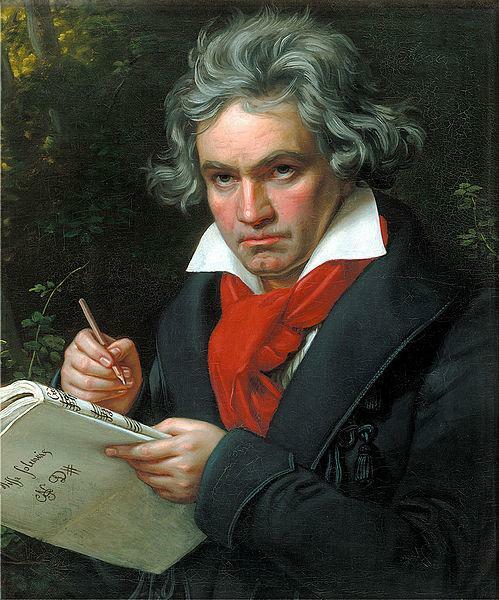 As we look on Moses as God's messenger of freedom, so we may view Beethoven as His messenger of music. Secular works can conjure up spiritual feelings as much as sacred music. "I have found new joy in Beethoven, and the Great Fugue now seems to me... a perfect miracle... an absolutely contemporary piece of music that will be contemporary forever... hardly birthmarked by its age, the Great Fugue is, as rhythm alone, more subtle than any music composed in my own century... it is pure interval music, this fugue, and I love it beyond any other." -- Igor Stravinsky, 1963. Though all the composers may not have been as plainly devout as Bach and Bruckner, most were not irreverent, either. While they may not have been saintly in their personal natures, they had that fundamental, essential and real quality of humanity. All of them had a full set of human weaknesses, and their personal frailties make each of them more, not less, of a human being. Their spiritual convictions may not have been obvious and visible -- but neither are the foundations of a church. Those foundations are there, providing the concealed but solid stability on which the entire structure can rest with security and integrity. A priest in Columbus' time might never have "seen" heaven and might have been unable to show physical "proof" of it, yet he would have had reason to believe it exists. Columbus himself may have felt the same about a new route to the Indies, a belief to which he could add navigational mathematics and contemporary, tangible technologies. Some believe and some do not, while others acknowledge that they simply do not know and yet retain deep faith. Great music can speak for itself, and the greatest artists have always been content to let their work speak for them, rather than they for their work. That many of their works are secular is not to say they believed less than others. This is amply reflected and exemplified in our daily experience: there are the earnest and ethical who worship but once or twice a year -- and there are the hypocrites, the faithless and the phony, who worship weakly. 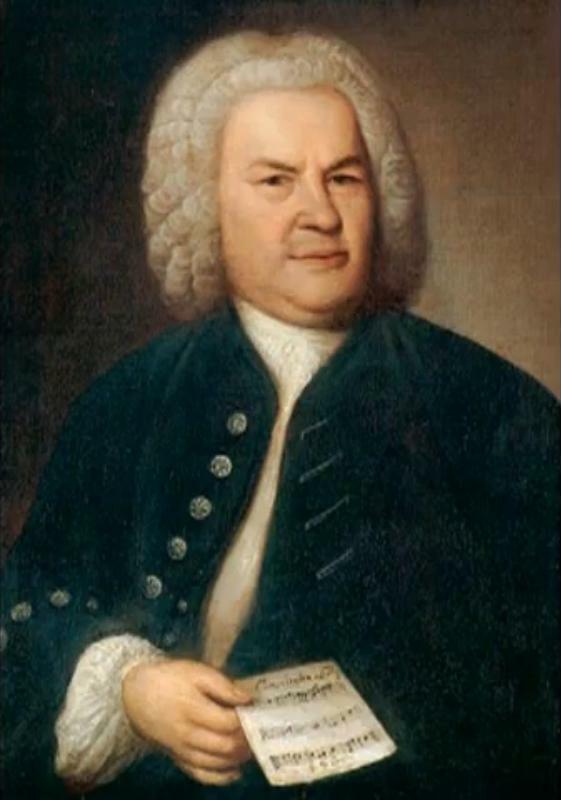 Throughout Bach's lifetime, art was largely within the province of church authority. During the era of Haydn, Mozart and Beethoven (whose lives overlapped), royal or noble patronage played an important role in the life of the artist. 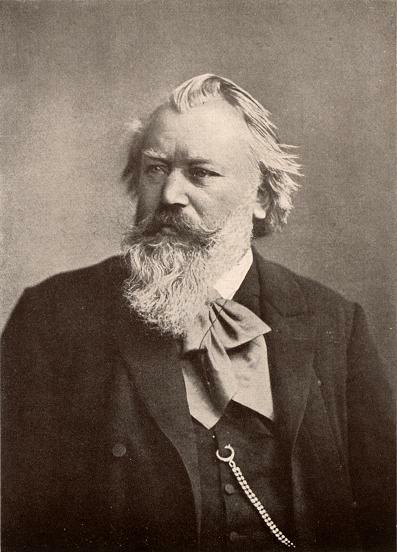 By the time of Brahms' maturity in the mid-19th century, the independence of the creative artist was virtually complete, in that he could draw upon his own, independent efforts and resources for success in his field by means of concert tours, performing fees, commissions, royalties from the sale of his music, etc. The changes correspond to the new and unprecedented early 19th-century views characterized by the Romantic era's perceptions of musical genius and historic greatness. The concept of the supreme musical authority of the composer, and the conviction that his word should be taken as being definitive, were some of the notions of history that evolved during that period. Then, more than today, the image of the creative mind was respected and in some cases even enhaloed, with The Composer and the aura that surrounded him an object of reverence, and his persona being seen by many as something almost approaching divinity. This was the Romantic view, "romanticised" now but quite real then. 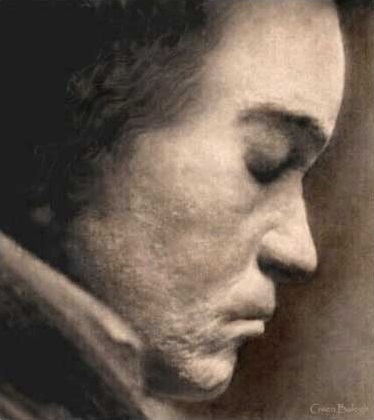 The Romantic sentiment was fostered and given impetus by the appearance of Beethoven, who, more than any other composer of his day, changed the course of musical history. Nevertheless, composers continued writing sacred music even after that linkage between art and church became less pronounced, and such sacred (i.e. spiritual) music has been written by practically every major composer in every historic period. Among those who have graced the world with Masses, Motets, Requiems, Te Deums, Oratorios and even spiritually oriented symphonies have been Leonard Bernstein, Hector Berlioz, Anton Bruckner, Antonin Dvořák, Franz Liszt, Felix Mendelssohn, Robert Schumann, Igor Stravinsky, Ralph (pronounced Rayf) Vaughan Williams, and Giuseppe Verdi. The circle as a geometric shape is a near-universal symbol of completeness. That we can add it as the letter "o" to the name of God and arrive at "good" is more than just a convenience, and seems to carry a greater implication. As a concept, God is Good has long been accepted as an eternal verity. We have another perspective, perhaps even more fitting, if we view good as being not a mere adjective but a true synonym. Thusly rendered, God is Good signifies God as the embodiment of goodness itself. Being pious, yet having a score of children; wearing threadbare garments and spitting on the floor; growing a long beard and smoking big cigars; and loving life, art and people passionately will unfortunately make none of us a Bach, Beethoven, Brahms or Bernstein. Composers may have accomplished more in a single year than most of us do in our individual lifetimes. What's most obvious, by its very nature, can frequently escape our attention. It may be worth noting that just as a musical score is essentially a series of written instructions for musicians, the composers, consciously or not, celebrated and glorified God in their own creations. True art may be more the underlying force of the Divine than the evident personal effort of the mortal. The Divine Spark is much more than a cliché. The realm of genius remains largely closed to most of us: if we can't kneel at the altar itself, at least we may linger respectfully outside the structure of the sanctuary. If we do so with understanding, veneration and reverence, it can be a wonderful and even sublime feeling to stand before the portals. The composers who blessed us with their work, as God has blessed the world with them, were as alive then as we are today. Jeffrey Dane is a researcher, historian, and author whose work is published in the USA and abroad in several languages. He has written extensively about the composers, and his book, A Composer's Notes: Remembering Miklos Rozsa, was published by iUniverse for the 2007 Rozsa centenary. A contributor to numerous volumes, he is perceived by some as being overly confrontational and thusly a real idealist, and by others as being insufficiently engaged and thusly an ideal realist. Both views have merit.